Investing isn't typically a get rich quick tactic that you can do for a short period of time and expect to make a significant amount of money. It's often a long-term process that requires patience, commitment, and keeping calm when the market fluctuates, as it inevitably will. 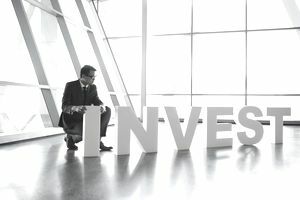 You may have heard of long-term investments and short-term investments, but are unsure of what they mean, what the difference is, or what investment strategy is best for you. A long-term investment usually offers a higher probability of maximizing your return over a 10-year period, rather than bringing you a high return in just a few years. Examples of long-term investment vehicles include stocks and index funds. A short-term investment is an investment you expect to hold for 3 years or less, then sell and/or convert to cash. Examples of short-term investments include money market funds, certificates of deposit, and short-term bonds. While many people like to play the market or speculate with day trading, it's a risky business and you should educate yourself and do plenty of research before you try short-term investing. For most people, it is easier and safer to plan on long-term investments. Read more about short- and long-term investments below to determine the best investment vehicle for you. Long-term investments are vehicles that you can expect to pay off after holding them for a period of several years. When investing long-term, you can be more aggressive because you have a longer time horizon, so you could opt to invest in an aggressive mutual fund to get the highest rate of return. You can approach long-term investing by determining the rate of return you want, then looking for a mutual fund that averages that rate of return over a five to 10-year period. When you invest for the long-term you must not panic when a stock's value drops and avoid selling just because the market looks bad. The market is cyclical and always recovers from drops, although it may take time to do so. However, if you pull out when prices are low, you may lose a portion of the money you initially invested. It helps if you avoid watching your portfolio often, and if there's a dip in the market, sit tight and don't pull out your money. Let the stock prices recover over time. When you decide how much risk you can bear, keep in mind that the longer you have to invest your money the bigger the risks you can take. If you need the money in the next few years, take a more financially conservative approach to your investments and opt to invest in a more secure type of investment. Another factor in choosing the type of investment may be what you are planning on using the money for. This may determine how much risk you feel comfortable with while investing. Long-term investments are more suitable for investors looking to save for a long-term goal, such as retirement or a college fund. You won't earn much of a return if you put money into a long-term investment that you plan to sell in three years, or if you want to use the funds for a more short-term goal, like a vacation. As the name implies, short-term investments are usually sold after holding them for three years or less. Examples of investment vehicles that lend themselves to a shorter investment period include stocks, mutual funds, and some bonds and bond mutual funds. You may also hear of short-term investors being referred to as day traders. Before getting into this type of investing, work to understand the basics of the stock market, be careful of single-stock purchases, and be mindful that it's very, very difficult to gain higher returns than the average rate of return of the stock market (about 7 percent) by trading short-term. Additionally, be careful to not place all of your investment into just one company. If that company were to go under, you would lose everything. Diversify your risk by spreading your stock investments over a variety of industries and types of companies. It is often easier to choose a few good mutual funds that already spread the risk for you by purchasing several different types of stock. And finally, only invest money that you can afford to lose, not money that needs to pay the mortgage next month. When it comes to investing, it is important to find the right balance for you and your individual situation. Before you start investing, whether it be short or long-term investing, you should have clear goals in mind. Even if you are most interested in short-term investments, set aside a portion of your money for long-term investments. This will protect you if you were to lose some of your money because of a sudden market crash or a bad investment. Investing is an important wealth-building tool and not something to avoid or be afraid of. Consider using a financial planner to help you determine your financial goals and risk tolerance. A financial planner can also help you create an investment portfolio that lines up with those factors. Your financial goals will also help you and your financial planner determine the best course of action for your investments since when you need the money can also help you determine the amount of growth you need in a specific time frame. A general rule of thumb when investing is to diversify your investments, i.e. buy different types of stocks across different sectors of the markets, and have a good balance of riskier investments versus those that are less risky, such as bonds or bond funds. If you are investing to reach a specific financial goal, like paying for a child's college education or saving for retirement, your investments should start out riskier with the chance of a higher return when you're younger, then become more conservative in later years. Is It Good to Invest Even Though I Have Credit Card Debt? Can I Invest Without the Minimum Investment Amount? How Should I Prioritize My Savings Goals?